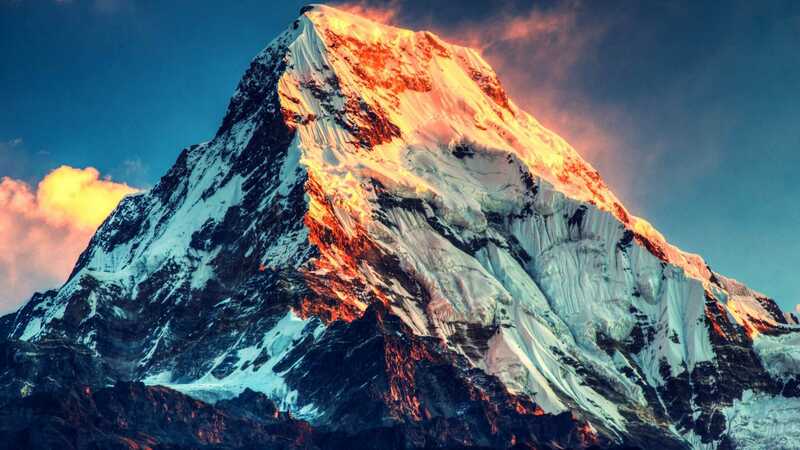 Mount Everest, which is not only the tallest mountain in the Himalaya mountain range but in the world, was ascended by a group of 9 climbers on May 10th. The group was succeeded by the first foreign climbers to scale the colossal mountain since 2014 only a day later, as two British men and a Mexican mountaineer all reached the peak of Everest early on May 11th. The initial 9 climbers, all of which were Nepalese, were setting up ropes for the 3 other men to follow up the treacherous terrain. The climbs marked a surprising turn of events for the mountain-climbing community as they were the first successful ascensions of Everest (at least among western climbers) since a series of horrific accidents that resulted in deadly avalanches in 2014 and 2015. There were no official climbers of Everest after the disaster in 2015, in which an earthquake (that killed over 8,500 people throughout Nepal) took the lives of 19 people who were climbing the Himalayan mountain. The Nepalese-regulated climbing season was, quite understandably, cancelled for the remainder of the year. The earlier disaster in 2014 took the lives of 16 Sherpa (members of the Himalayan people), according to Fox News. 2015’s cancelled season left Chinawoman Wang Jing as the last person to reach Mt. Everest’s peak, as she did so in May of 2014. Kenton Cool, Robert Richard Lucas and David Liano Gonzalaez reached the zenith of the approximately 29,000 foot tall environmental wonder this year, however, despite the incredible struggle that comes with scaling the tallest mountain on Earth. Cool has visited the top of Mount Everest an astounding twelve times, according to USA Today. The three brave foreigners were joined on their climb by three other Nepalese guides, meaning that a total of 15 people summited Everest in a matter of less than 24 hours. And even more climbers are expected to trek to the literal “top of the world” in the coming weeks. American Adrian Ballinger is currently making his way up the mountain as of May 13th, and he is chronicling his climb on social media to share with the world. Ballinger, who has also climbed Everest multiple times, is utilizing the hash-tag of #EverestNoFilter to document his incredible journey via “Snapchat” and “Instagram”. His ascent is even more remarkable than most due to the fact that he is not using supplement oxygen during his climb. Over 4,000 spirited climbers have managed to climb Mount Everest since 1953, when Sir Edmund Hillary and Tenzing Norgay did so for the first official time. The plethora of new mountaineers that are expected to add on to that number will have only a short amount of time to do so this year however, as Nepal’s mandated “climbing season” is set to end in only a few short weeks for safety reasons.